Booking with Glitz & Glam is simple & can be done at your convenience below! Select your package and then scroll down to include any desired add ons! Deposit: After filling out the form below, you will receive an email with the link to make the $50 deposit. ​After deposit is received you will receive an email confirming your party. The deposit is required to reserve the requested date/time of your event, and is non-refundable and non-transferable. The deposit will be deducted from your party total and the balance for your event is due the day of your event. 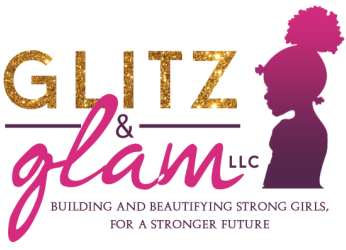 ​ Glitz & Glam serves DC, Maryland & Virginia, operating within 60 miles of the zip code 20032. ​Parties booked more than 30 miles outside of 20032 may be charged a fee for mileage of $1/mile. Daughters Age, Number of Party Guest (to include birthday girl), *Activity Choice (when applicable), Any known allergies. ​Feel free to call or text Glitz & Glam from 8:00am-8pm, (240)442-2665.
beginning of your appointment or you may be charged a cancellation fee of $50.00.